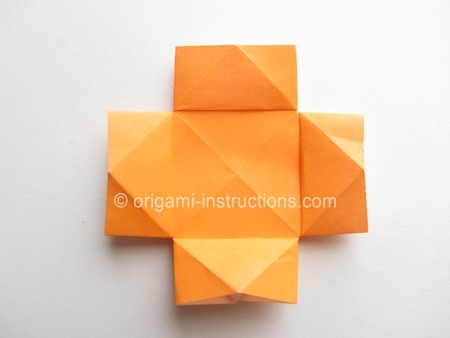 This is a cute and easy origami slipper chair that is perfect for your doll house. 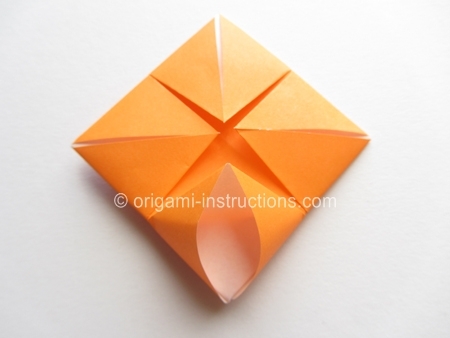 The folding instructions are actually very similar to that for the origami lantern and origami yakko san. 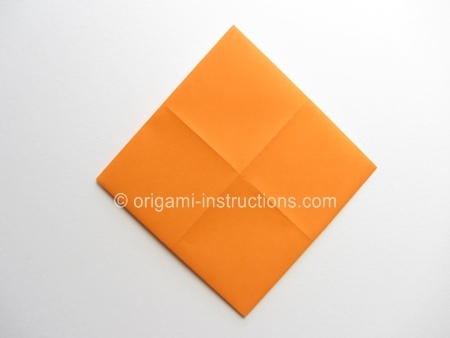 Origami Slipper Chair Step 1: Start with a 6 inch x 6 inch (15cm x 15cm) square origami paper, color side down. 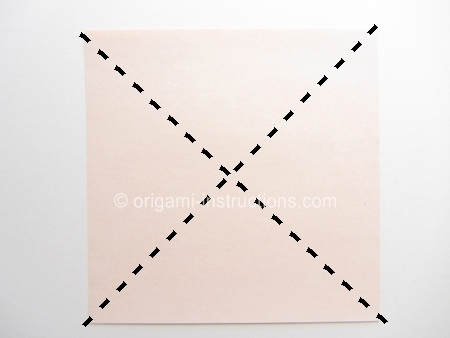 Fold paper in half on both diagonal axis. 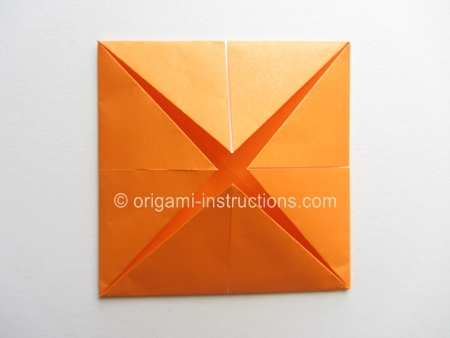 Crease well and unfold. 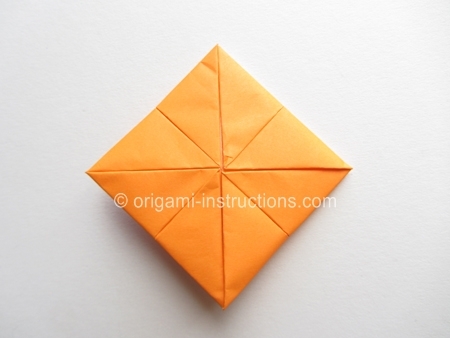 Origami Slipper Chair Step 2: Fold all four corners to the center. 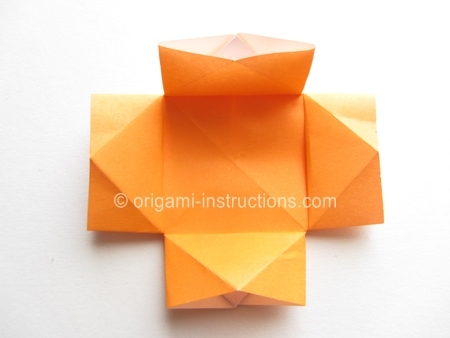 Origami Slipper Chair Step 3: Flip paper over. 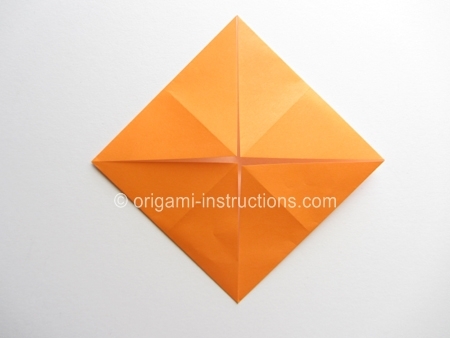 Fold all 4 corners to the center again. 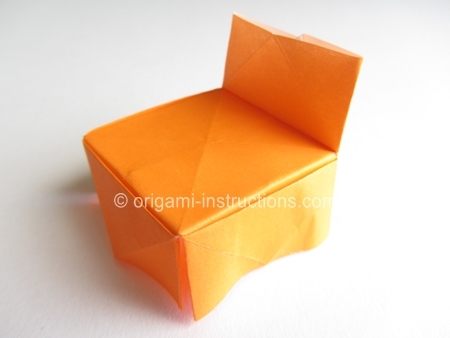 Origami Slipper Chair Step 4: Flip paper over. 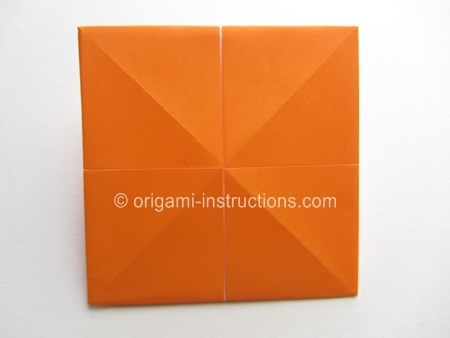 Fold all 4 corners to the center...again! 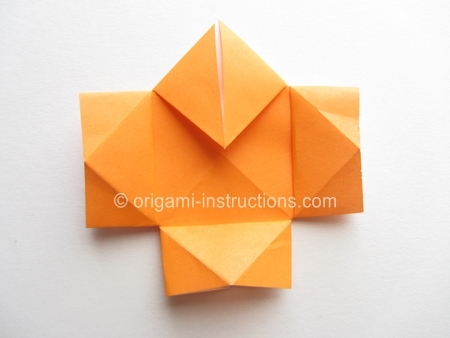 Origami Slipper Chair Step 5: Flip paper over. Origami Slipper Chair Step 6: Pry open the paper at the bottom. 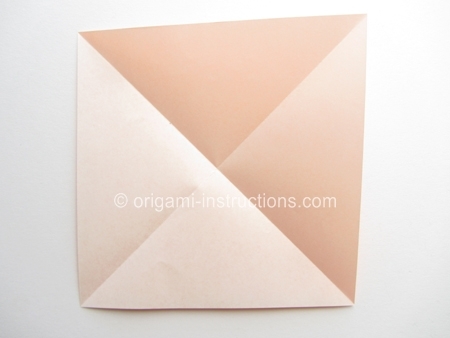 Then fold it down and press paper flat. Origami Slipper Chair Step 7: Repeat Step 6 for all the top corner. 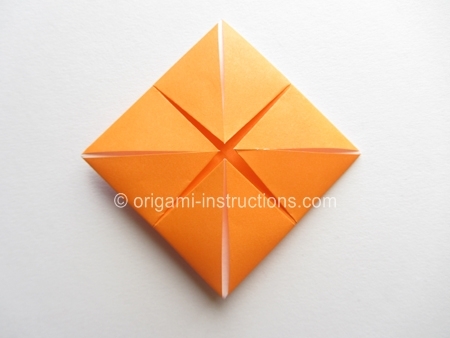 With 2 corners complete, this is the origami lantern! Origami Slipper Chair Step 8: Repeat Step 6 again for the other 2 corners. 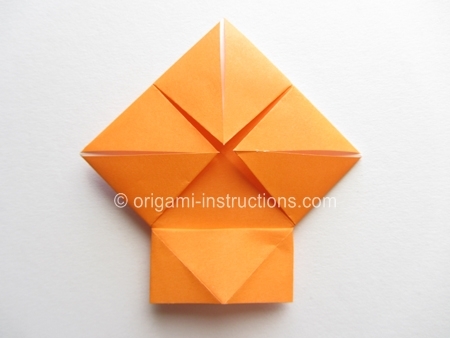 With 3 corners complete, this is the origami yakko san! Origami Slipper Chair Step 9: Fold up (valley fold) on one side. 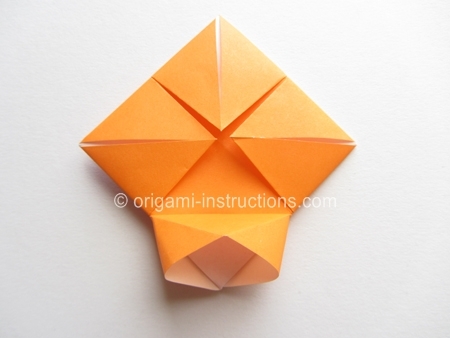 Origami Slipper Chair Step 10: Fold down (mountain folds) on the other 3 sides. 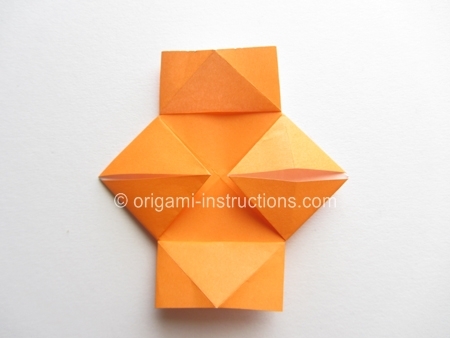 and your origami slipper chair is complete!